At age 52, Peter Berg has had an interesting career as a filmmaker: from the ill-behaved superhero romp Hancock (2008), to the 2012 high-octane board-game adaptation, Battleship — which, unlike many others, I actually quite dug, even if it did splash into goofy waters. Recently, however, Berg has decided to drop the blockbuster gig and focus on more human stories, his previous effort, the Oscar nominated Lone Survivor (2013), a significant shift from the maritime Bayhem of Battleship — the film based on the real-life account of Marcus Luttrell, a sniper in a four-man Navy SEAL team, whose mission to capture or kill notorious Taliban leader Ahmad Shah goes awry. His latest though, Deepwater Horizon, combines the skill and know-how director Berg has amassed over the years — he is, after all, back at sea, making things go boom — the movie capturing powerful sequences of heart-wrenching heroics and dynamite edge-of-your-seat thrills, Deepwater Horizon described by a colleague of mine as explosion-maestro Michael Bay’s Titanic — a fitting likening, perhaps … or perhaps not. I guess that’s a decision one can only make for oneself. 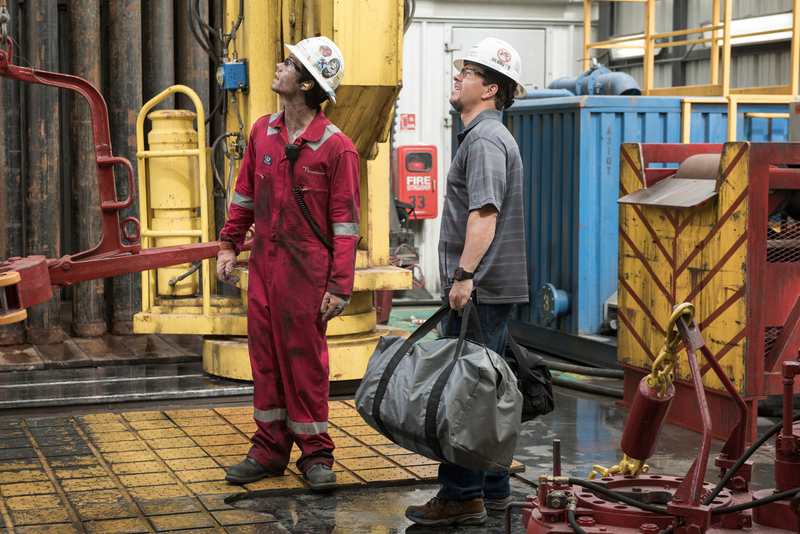 Any which way, the film tells the story of Transocean chief electronics technician Mike Williams (Mark Wahlberg), who — alongside some 120 plus crewmembers — was working a trying shift on the Deepwater Horizon, a deep-water drilling rig just off the coast of Louisiana. At 10pm on April 20th, 2010, a devastating blowout occurred, one that would dominate the headlines for weeks and set off a debate over the safety of deep-drilling in high-risk conditions/ environments. The sudden explosion (caused by flammable methane which made its way into the rig’s pipeline) was immediately followed by a chain of raging fireballs, shattering the structure and drenching the battered and shaken crew in combustible gas — this ecological nightmare becoming the largest accidental oil spill in human history, with over 50,000 barrels (some 200 gallons) spilling out from the ocean floor and rushing into the Gulf of Mexico. Based on a seminal New York Times article titled Deepwater Horizon’s Final Hours, written by David Rohde and Stephanie Saul, the screenplay by Matthew Michael Carnahan, State of Play (2009), and Matthew Sand, Ninja Assassin (2009), dramatizes the cataclysmic event, the film looking at the carelessness that contributed to the relentless inferno blaze which claimed the lives of 11 workmen, with 17 others critically injured (I’m surprised the death toll wasn’t higher). Documenting events as they occurred, the movie is more concerned with the human side of this man-made tragedy (as opposed to playing the blame game), focusing on the wounded workers who displayed extraordinary courage in the face of harrowing odds — men and women who risked their lives in order to rescue their friends and colleagues. It’s the intimate moments here that really bring the intensity to the forefront; early scenes establish the would-be victims’ worlds ashore (we see them at home with their families and loved ones), these smaller everyday beats helping audiences identify with the key characters, heightening the life-and-death scenario when it inevitably hits, these ordinary people thrust (unexpectedly) into the most traumatic conditions imaginable. … and you thought your workday was bad! Yes, the high-tech mumbo-jumbo in the film’s preliminary half may go over the heads of most, but this jargon, however, aids the rising tension whilst generating a genuine sense of realism, the build-up as taut as the straining pressure pipes themselves. Carefully balancing suspense and emotion, Berg brings a documentary-like quality to proceedings, the gritty cinematography by Enrique Chediak, The 5th Wave (2016), further enhancing the flick’s veracity whereas the hand-held camera-work literally places viewers in the middle of the crew’s disorderly scramble. Considered a bit of a Michael Bay ‘copycat’ in his early career, Berg handles the ‘Bayhem’ confidently, never losing sight of the bigger picture, and that’s to authentically tell this inspiring yet bone-crunching tale of survival: the fiery smoke-filled vistas are hellish and chaotic, the VXF seamless and the action grippingly intense — even if some of the destruction comes across as being overly action movie-ish, particularly for a story tackling such delicate subject matter. Anchoring the picture are its powerhouse performances — several of which may get recognition come Oscar season — the manly exchanges demonstrating the crew’s kinship and camaraderie, this flippancy, however, soon replaced by cries of fear, anxiety and dread. In his second pairing with filmmaker Berg, Mark Wahlberg, Lone Survivor (2013), excels as blue-collar employee Mike Williams, Wahlberg’s combustible star quality elevating the material to blockbuster levels. Veteran actor Kurt Russell, The Hateful Eight (2015), is solid as the empathetic offshore installation manager Jimmy Harrell, the moustachioed Russell bringing a real-guy charisma to the fatherly overseer — who held an unblemished safety record over his extensive career as a supervisor (well, up until this episode anyway) — whereas Teen Wolf (2011) heartthrob Dylan O’Brien implants a boyish charm to Caleb Holloway, a young floorhand running with the drilling crew aboard the rig. Operating as the film’s ‘antagonist’ is smarmy British Petroleum exec Donald Vidrine, played by the ever-intense John Malkovich, Burn After Reading (2008) — who, along with fellow BP crony Robert Kaluza (Brad Leland), was on board the vessel when things went south — Malkovich’s corner-cutting company man somewhat personifying corporate greed and ruthlessness, the bigwig displaying blatant disregard for workers through his obsession with sticking to budget and keeping on schedule (regardless of certain dangers). But look, despite the flick’s A-grade talent, a majority of the cast spend significant chunks of time covered in grease and mud — the dirty faces hard to distinguish in amongst the vicious firestorms, toppling gantries and grimy rubble. And then there’s the lovely Kate Hudson, Almost Famous (2000), whose somewhat wasted as Felicia Williams, Mike’s loving (yet distressed) wife, who — together with the pair’s daughter, Sydney (Stella Allen) — watches the horrific debacle unfold from the safety of her own home via news broadcasts on the telly. 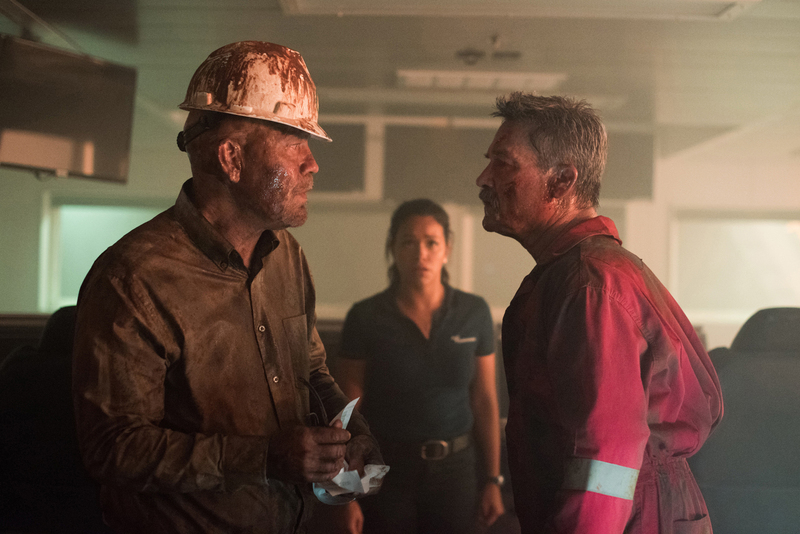 Socially conscious and timely, Deepwater Horizon does an admirable job in honoring those who died at the hands on negligence, whose friends and families may still be in grievance today. 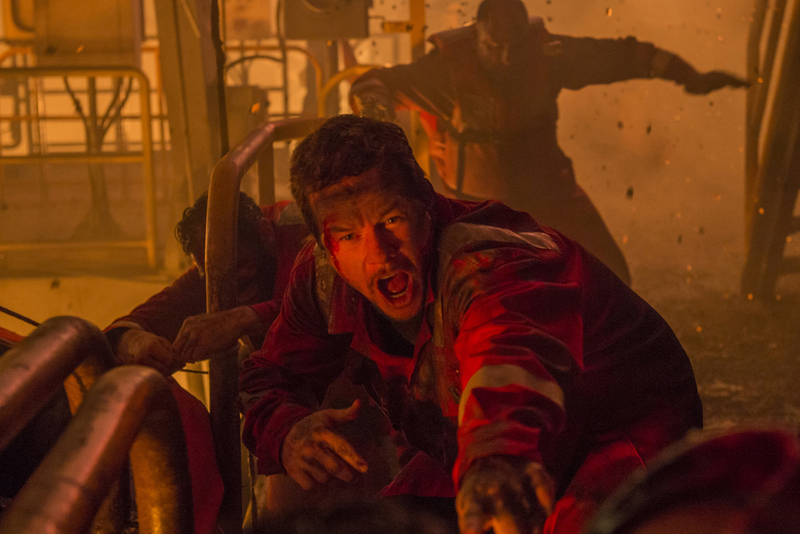 While the narrative is rather contained (the film literally ‘logging’ the incident, and then just touching on the aftermath and subsequent fallout), Deepwater Horizon is a compelling story of the resilience of the human spirit and everyman heroics, and much like the Clint Eastwood helmed Sully (2016), is sure to resonate with audiences of all ages.